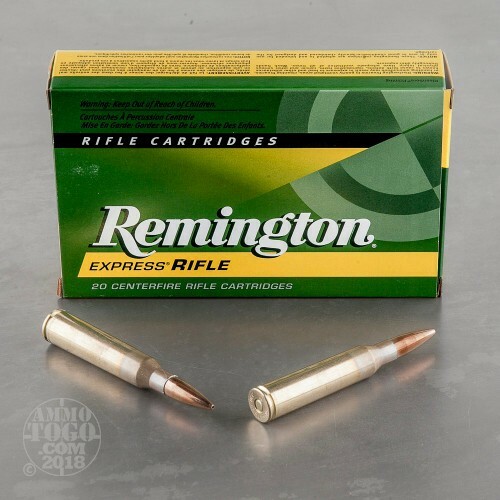 Producing reliable high-precision ammunition for over a century, Remington continues their tradition of quality with their premium Express line. 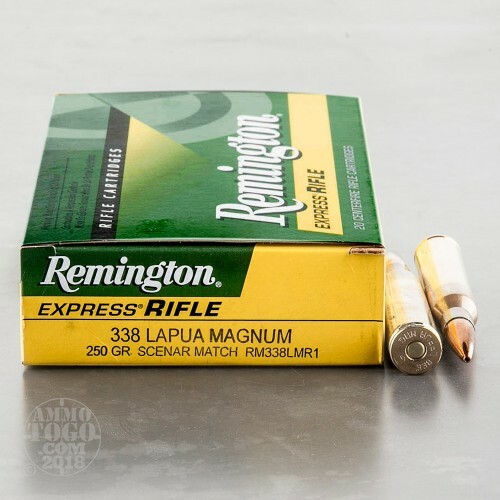 Each of these 338 Lapua Mag rounds is loaded with a 250 grain Scenar Match Boat Tail Hollow Point (BTHP) projectile. These Lapua Scenar projectiles set the IBS world record in 600-yard heavy gun, producing a five-shot group measuring only .404 inches. The Lapua Scenar bullet also holds the official world International Shooting Sport Federation (ISSF) record with a perfect score of 600. 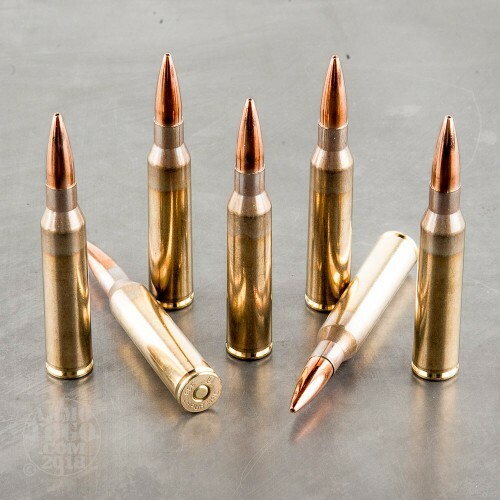 This new production ammunition is boxer primed, non-corrosive, and features premium reloadable brass casings. Leaving the muzzle at 2960 feet per second with 4863 foot pounds of energy, these loads are designed for long range and bench rest shooting. 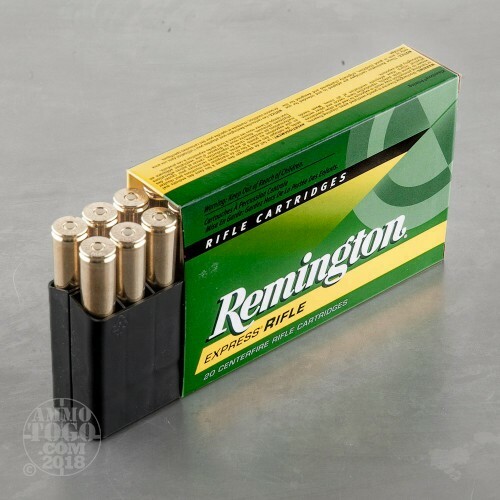 With match quality precision and performance, this ammo is produced using strict manufacturing tolerances, ensuring consistent accuracy and function. This package contains 20 rounds of Remington Express Lapua Magnum centerfire ammunition.